Råne River is the longest forest river in Sweden. The river starts in Gällivare at the foot of the Dundret fell. With its 250 km’s it reaches down through the wild forest country to the small village Råneå where the river meets the Botnic Sea. The river valley offers real wilderness with the wide and unpopulated forests and wilderness. If you are lucky you might see the footprints of the big predators such as wolf, bear and lynx. With the white water rapids and calm streaming parts the river is an Eldorado for the one who enjoys canoeing and kayaking. 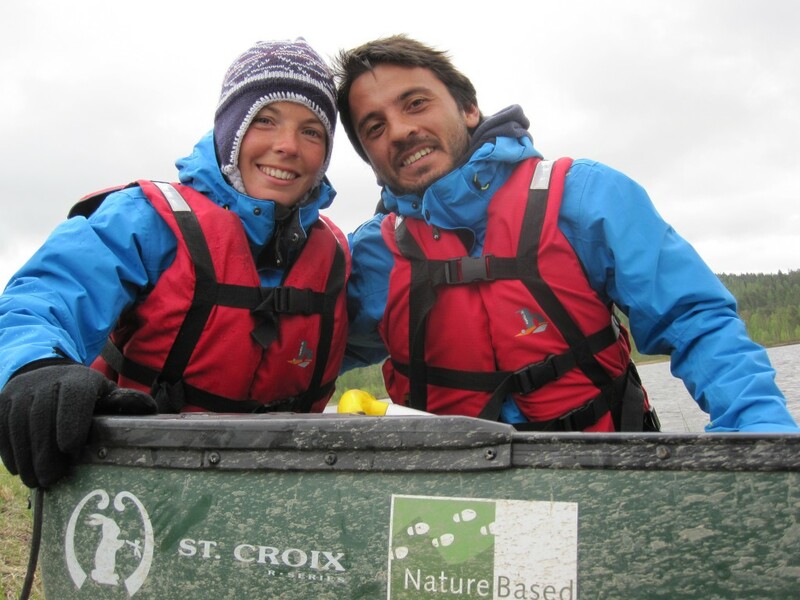 You will learn how to manage in the last wilderness of Europe on water, in the forest and in tough conditions. During this wilderness adventure you will experience everything for real with professional instructors by your side to assist you in a real week full of true adventures. Guides from CreActive welcomes you at the hotel/ APT of Luleå for guided transfer to the northern forest landscape of Råneå river valley in minibus approx 2 h. At arrival to the river we make a half day security and paddle technique instruction course together with our guides in the river before leaving for our Inflatable canoe expedition on the the river class I-III. Wilderness lunch cooked over open fire at the beautiful Karsbergsfallet ( Beautiful white water rapid). Paddling in to late evening. Two course dinner cooked over open fire and night sauna with swim in the refreshing river. Overnight in Sami Tee -pee and sleeping bag. 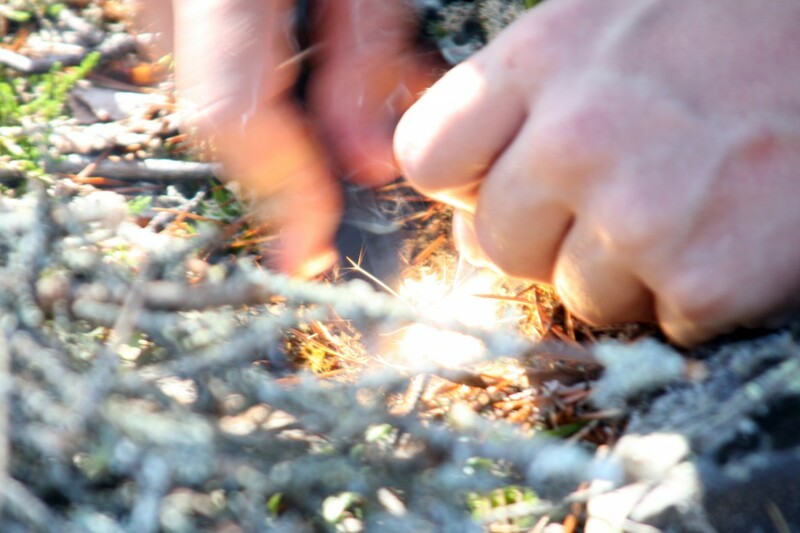 Wilderness breakfast, this day we will practise real bush craft skills and learn a lot about survival in wilderness by the STOP method from Swedish special forces training. ( Stop, Think, orientate, plan). Wilderness lunch and dinner in between the practises. We paddle some hours before we maker night camp. Overnight in sleeping bag and improvised shelter bivy. Wilderness breakfast, pack of gear and we keep on paddling downstream the river. Stop for lunch on the riverbank. This day we will dedicate wildlife and flora and search for tracks of the big predators and do some bird watching. Fishing for dinner in the river and cook our catch. Overnight in sleeping bags and Lappish tee pee. Wilderness breakfast and departure for a full day deep forest hiking. 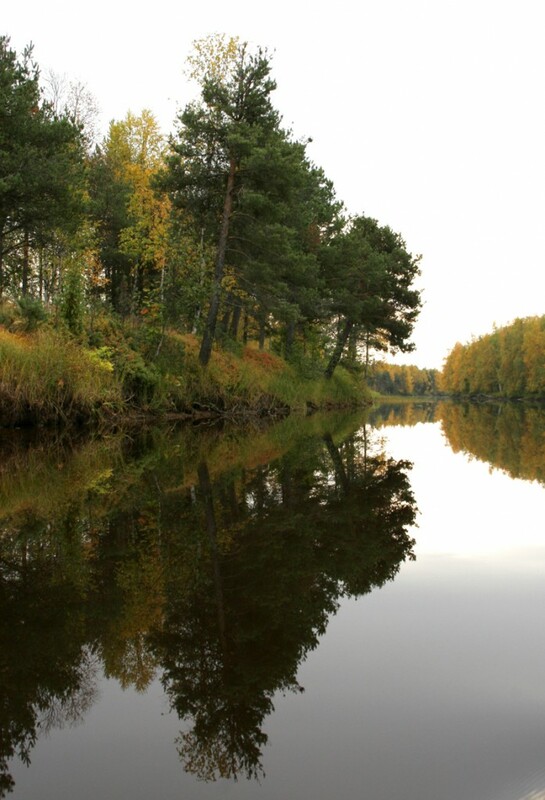 Discover the impressive big and old pine forests of the taiga area in Råneå river valley. We make a stop for lunch on a mountain with beautiful view. At late afternoon we will be back at the river paddling some kilometres downstream and putting up the base camp and dinner. Overnight in Lappish tee pee and sleeping bag. Wilderness breakfast. Departure for tougher paddling. We will make a recon and learn about rapids and their characteristics. 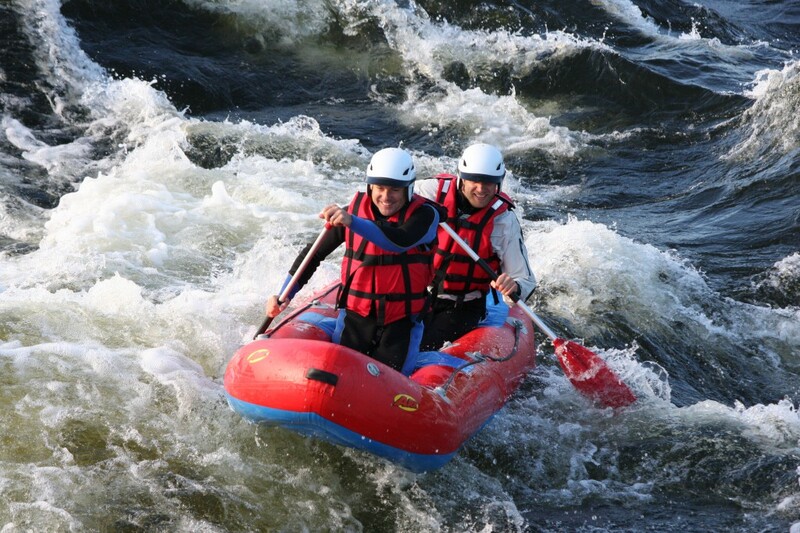 Learn how to manoeuvre safely in white water conditions class II – IV. Lunch on the riverbank. I n late afternoon we will reach a smaller river where we will search for beavers and study their way of living. Wilderness dinner and overnight in Lappish tee pee. Wilderness breakfast.Last day of paddling on the river. We reach the Valvträsk river delta landscape where we make a short trek to a beautiful mountain. Lunch on the top of the cliff with a beautiful view of the river valley. Overnight in nice log timbered cabin and a good two course dinner and rich refreshing sauna with a dip in the cold river. Wilderness breakfast. We help each other to pack of gear and canoes. Departure to with minibus Luleå, lunch in Luleå and transfer to APT/ Htl. Price from : SEK 15 950 per person incl VAT (25%) ( 4 – 8 paying guests). 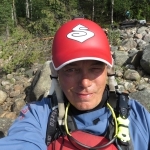 Price includes: meals and necessary equipment for activities mentioned in programme, security equipment such as helmets, harnesses and wetsuits, transfers from Luleå to Råne river valley two way, Professional and experienced guides. Price do not include: Equipment of personal character, alcoholic beverages.